Mandy Robinson is the main author on this site. She works from home as a full-time writer. She is married and has two amazing little girls. She works with her puppy by her side. 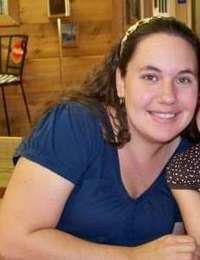 Mandy is a freelance writer for Inquisitr and Blasting News as well as working on According2Mandy.com. You can contact her at according2mandy@gmail.com. Mandy also works as a Regional Sales Manager for US Family Guide. This is a network of bloggers who help build businesses through blogs and social networks. Mandy also recently started a new blog all about travel which is called The Destination Seeker. Tiffany Bailey enjoys writing about and following celebrities and several television shows. Soaps are her thing, but reality television is also something she enjoys. You can e-mail her at Tiffanywrites27@hotmail.com. Sammi T. has been a journalist for nine years, specializing in sports, celebrity and all things entertainment. She has interviewed thousands of celebrities and currently has a show on YouTube called Football In High Heels Presents. Her work can be found on www.tvgrapevine.com & www.footballinhighheels.com. She also loves fitness and is constantly training for various athletic events. Her goal is to become an Ironman champ in 2018! However, the most important thing in her life is her precious goddaughter Isabella. Heather Irwin is an avid traveler, who prefers her vacations warm and tropical. After 20 years worth of vacations to Hawaii, she is now in transition to move there and make it her home. She says the perk, is that international travel to places such as Bali, Fiji, Guam, and Tahiti become more affordable and attainable for her! Katie Coffman loves spoilers and keeps up on the latest CW dramas. You can get in touch with her at according2mandy@outlook.com.